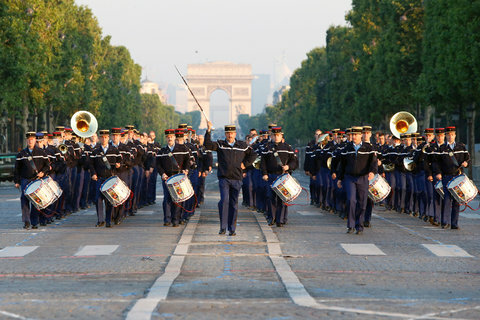 Did you know that you don’t say “Happy Bastille Day” in France? We found this out after a funny conversation with an older French couple at the parade. I might have been swaying and slightly crosseyed after getting home at 3am from the Ball de Pompeii and waking up at 7am to walk to a parade that err didn’t merit getting 3-4 hours of sleep. darn! But the fireworks that night…. WOW. The night before le 14 Juillet is the Ball de Pompeii, or the Fireman’s Ball. All the fire stations across the city open up to have a huge party. It helps raise funds for the Pompeii and whoever came up with it is genius!! Who doesn’t want to hang around some hunky French Firemen, drink beer or champagne, and dance the night away?! yup- and that is the only picture I can show from the night. 😉 or my friend’s might just kill me. 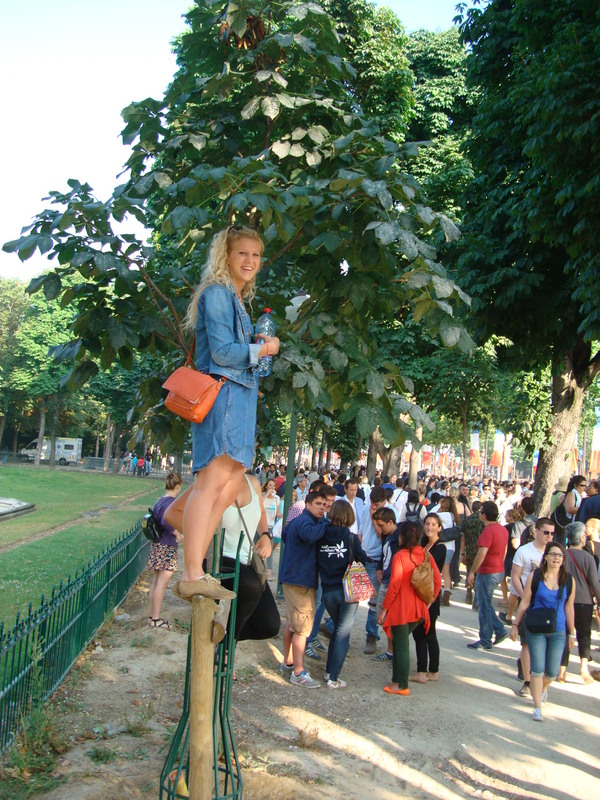 Actual Bastille Day, involved climbing a tree..
Because well the entire walkway looked like this..
We were soon dismounted from the trees because the police were concerned for our safety and the possible concussions that might occur. So we moved up a bit, away from the metro, and happened to find a spot where we could see!! woohoo!! 241 horses.. now that was cool! 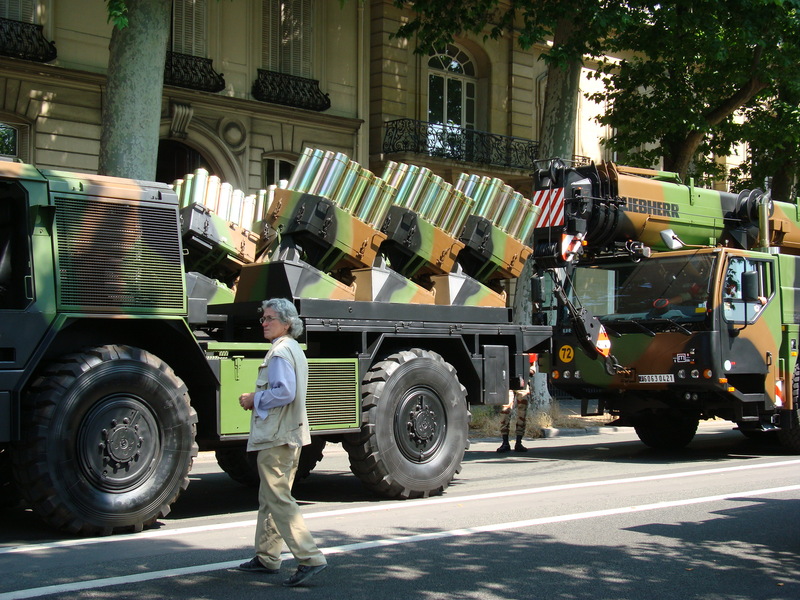 265 military vehicles… yay? ok the tanks were cool. 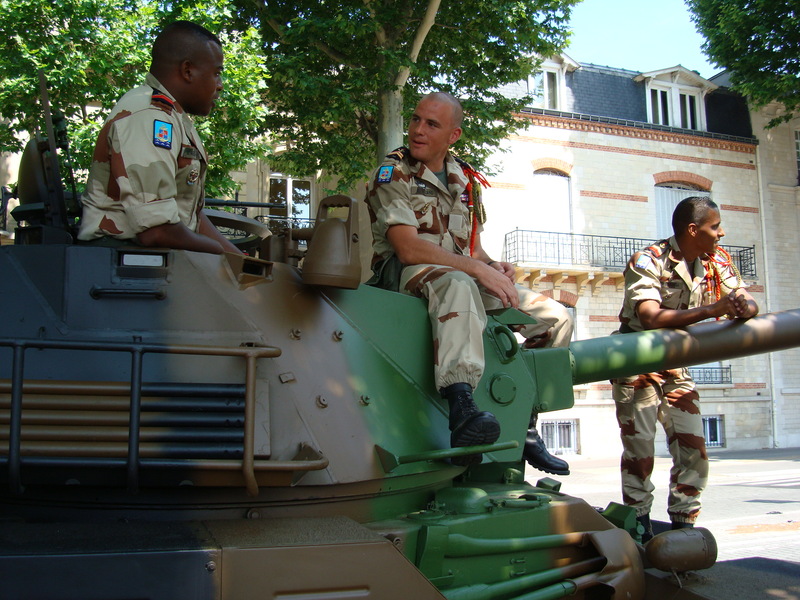 How about some better pics of close up soldiers and tanks! ya! 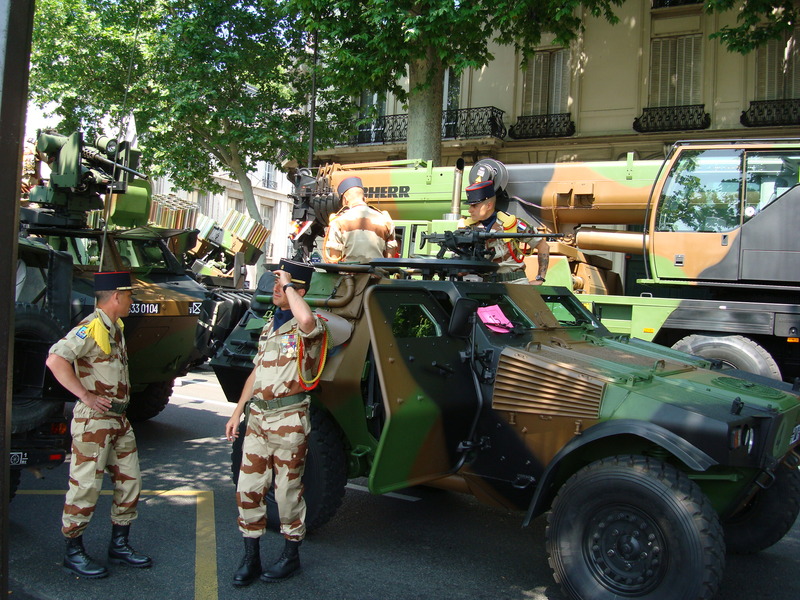 French military! We ran into these boys on the way home. 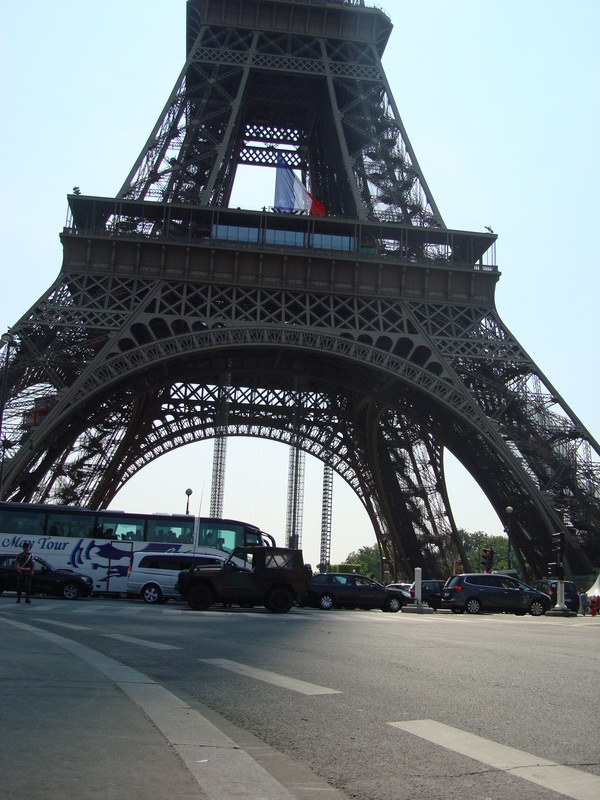 ooo Pretty Eiffel! Love the flag! 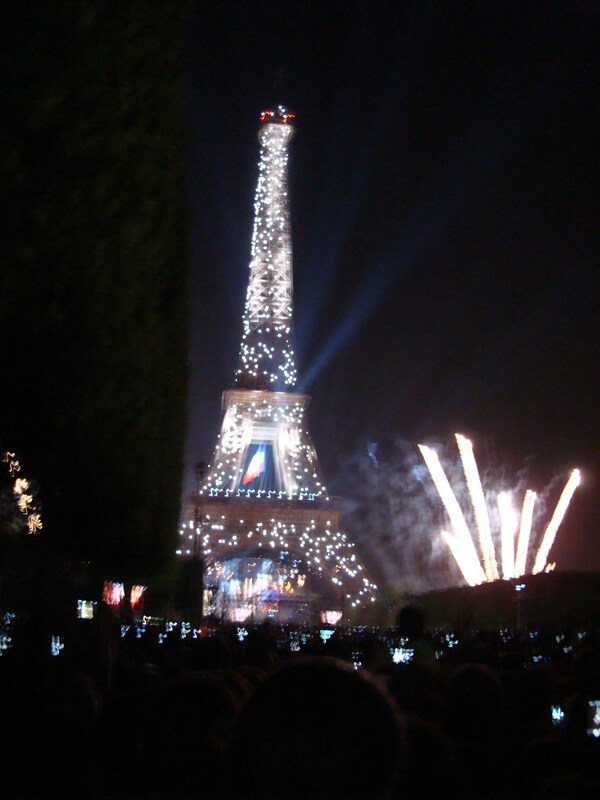 Now what you absolutely HAVE to do on Bastille Day is go to the Fireworks at the Eiffel Tower!! Plan for next year: Sleeping in, having a massive/super long picnic at the Champs de Mars and laying back and watching the fireworks. Here’s a video of the entire firework show this year! Incredible!! – Go to the Ball de Pompeii! It’s for all ages. We saw kids up to grand parents getting some dancing in. 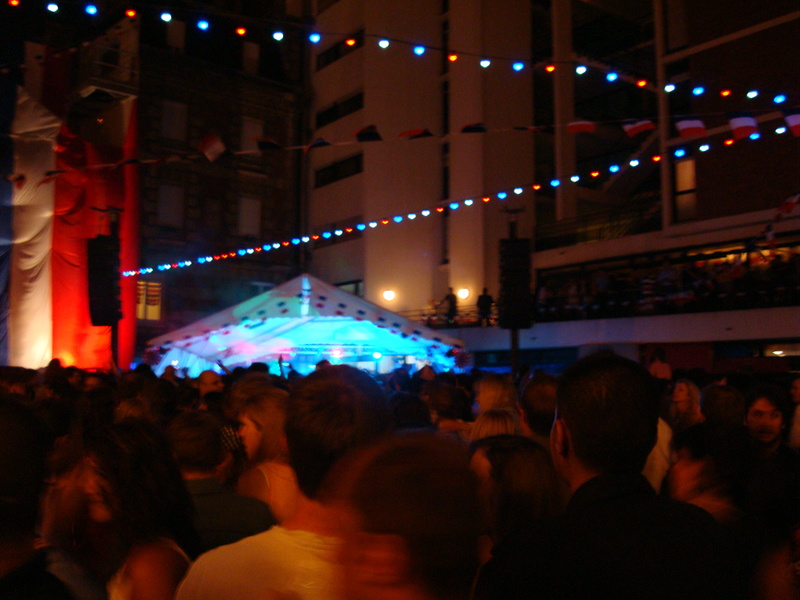 It’s the night before and the day of Bastille Day. 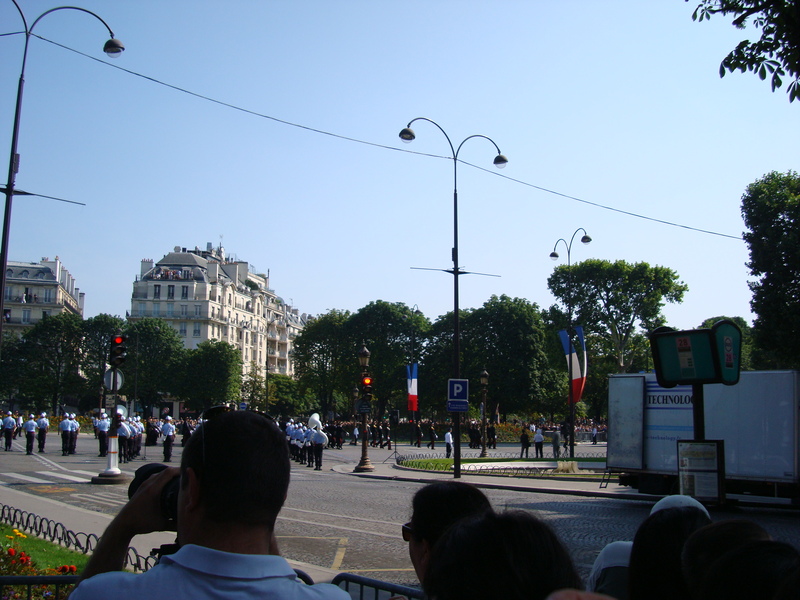 – If you are going to the parade, bribe a resident that has a balcony facing the Champs Elysees. Just kidding. Or am I? – Get to the Parade super early! We got there at 8:30am, and it was packed even though it starts at 10:20! 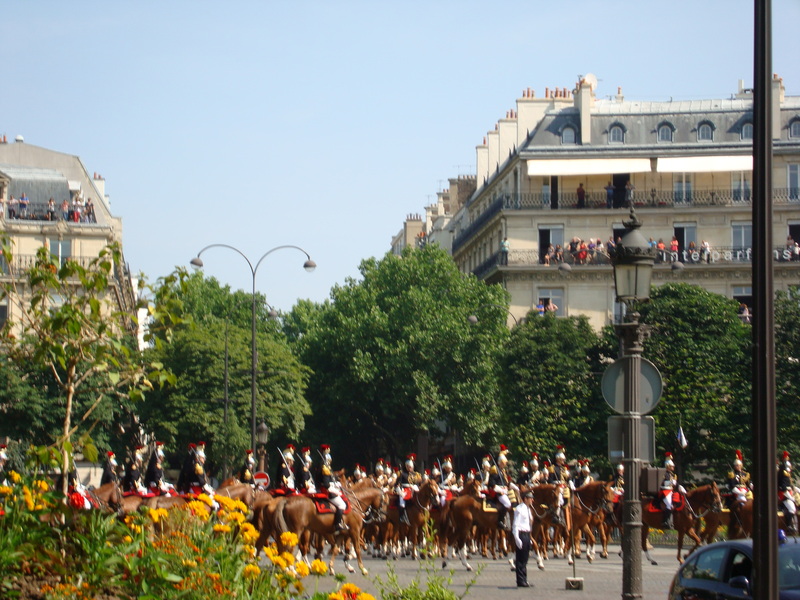 – Set a meeting place for the parade that is away from a metro stop. Everyone will be taking the metro so there will be a ton of people around that area hankering for a spot. Also be warned that a lot of streets and metro stops will be blocked off close to the parade. 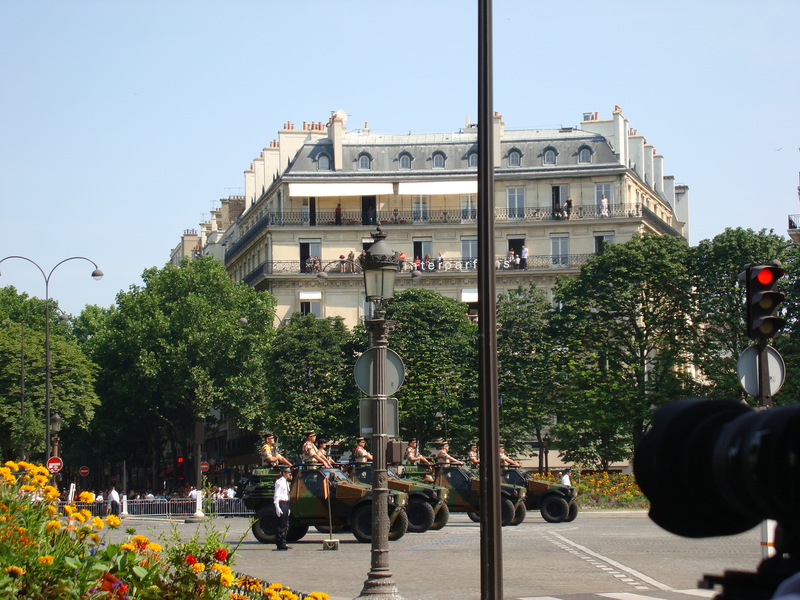 – Don’t want to stand for several hours to watch military people walk by? 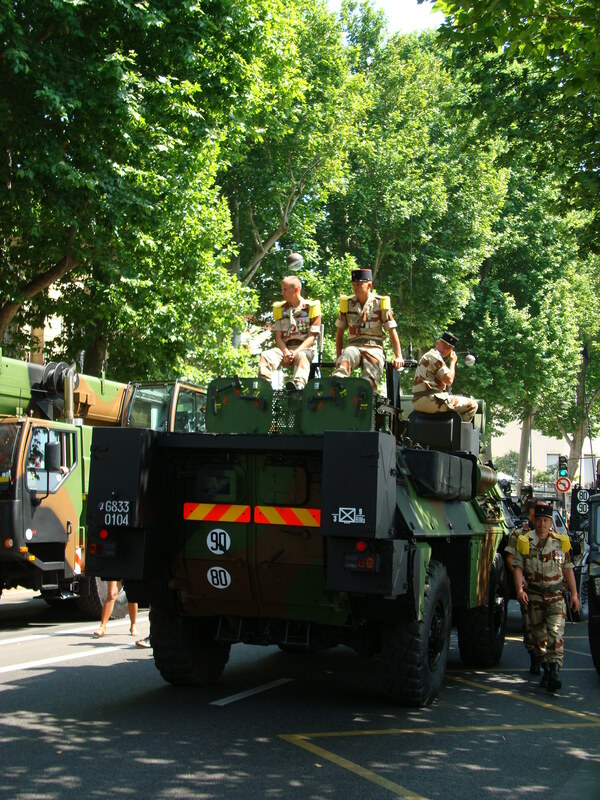 Go to one of the many meet and greet areas after the parade to take a look at the vehicles and soldiers. – Bring snacks to the parade and chairs- not to sit on, but to stand on! This might not go over so well for the people behind you but it’s worth a shot. 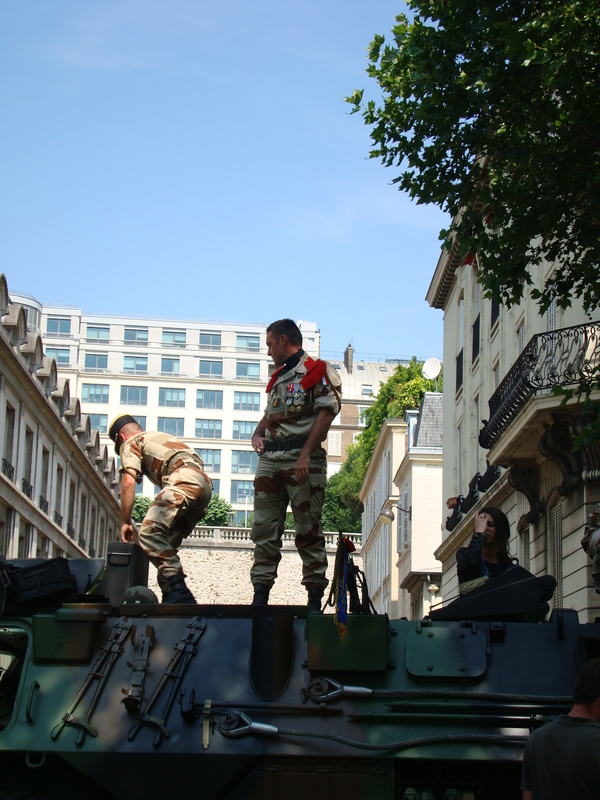 – Know that the metro is going to be INSANE after the parade. Walking home will get you there faster than attempting to train it back. 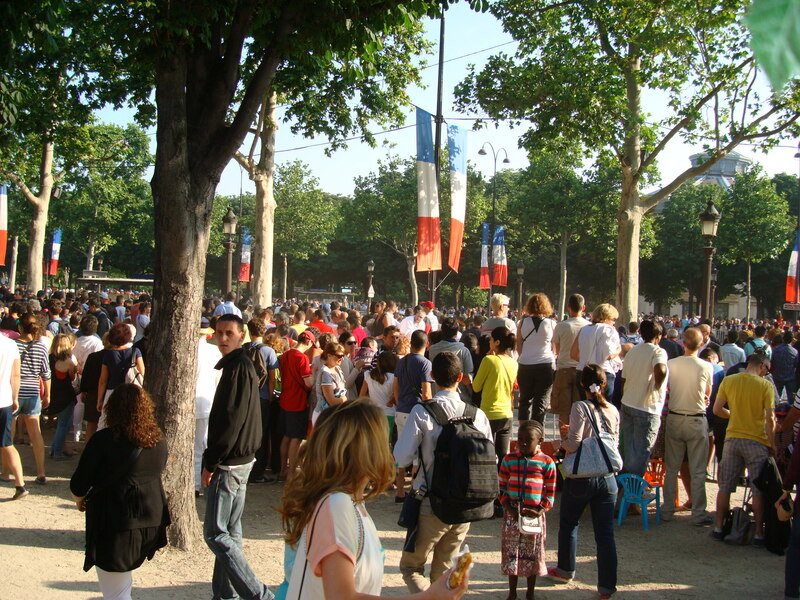 – For the fireworks at the Eiffel Tower, get there early in the afternoon if you want a spot on the grass. In the middle, but further away is better than on the sides because once the fireworks start people will push in making you and your lovely picnic mates not all that happy. Bring lots of food, an umbrella, and sunscreen. Alcohol isn’t allowed! 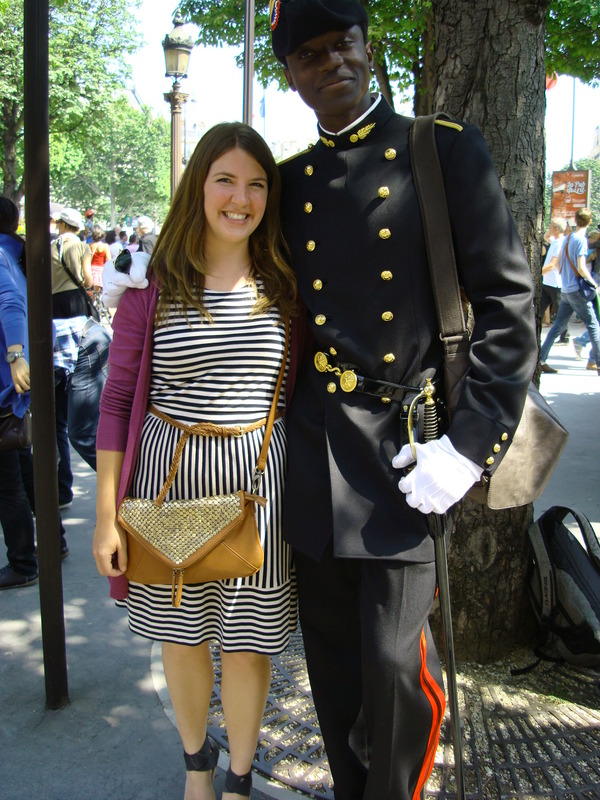 The only thing better than hunky firemen… hunky French firemen! haha right!? Whoever came up with the idea of a Fireman’s Ball is a genius!